To celebrate Presidents Day and Women’s History Month, the Center for American Women and Politics (CAWP) wants kids to hear a great story that teaches an important lesson about leadership. To make sure that happens, CAWP is asking women lawmakers around the nation to read the story to girls and boys in their districts. With generous support from the Hess Foundation and the Rice Family Foundation, we’ve sent a free copy to each woman in Congress, the women serving in all state legislatures, and four women governors! (Others can purchase copies here.) After reading the story to children, the elected women will donate their copies to their school libraries. 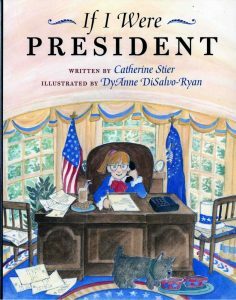 If I Were President, written by Catherine Stier with illustrations by Diane DiSalvo-Ryan, explains the varied duties of the presidency. 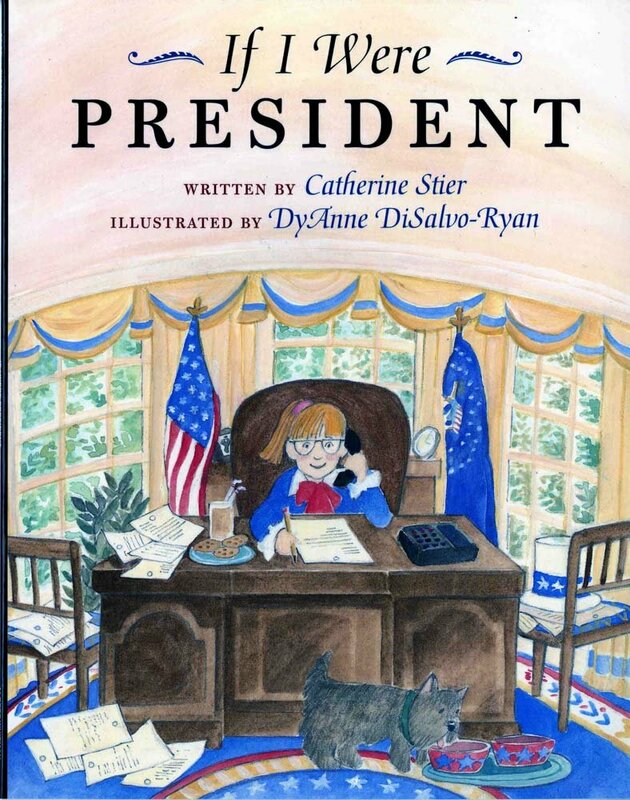 We chose this book because it provides an easily understandable overview of the presidency for elementary-age children, and it includes a diverse cast of girls and boys, making it easy for all kids to imagine themselves as president.